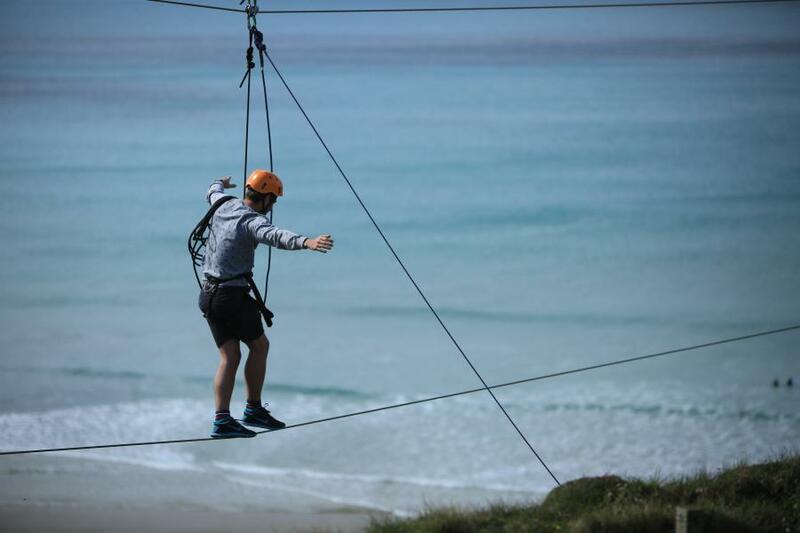 Let go of every fear as you dangle your feet 150ft above a glorious Cornish beach. This is the Terror Tightrope experience. Posture is the most important thing when tightrope walking, however fear not as you'll be 100% safe in your full safety harness. It'll feel natural to want to look down as you embrace this unique challenge. There's also plenty of stunning scenery to take in from this height if you're brave enough. After a unique thrill? This is definitely the one for you! Allow 0.5 hours for experience. Must inform staff of any medical conditions that may jeopardise your safety. Please bring trainers and sporting clothes appropriate for the weather and with room for movement. Please arrive 15 minutes in advance of your session time.